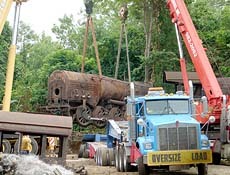 UPDATE July 2008: N&W 917 was removed from the yard on July 8, 2008 for preservation in Bellville, Ohio. Click here for photos of the move. 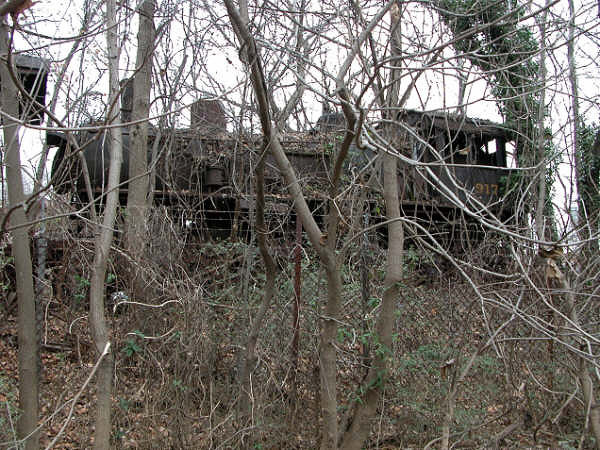 Norfolk & Western no. 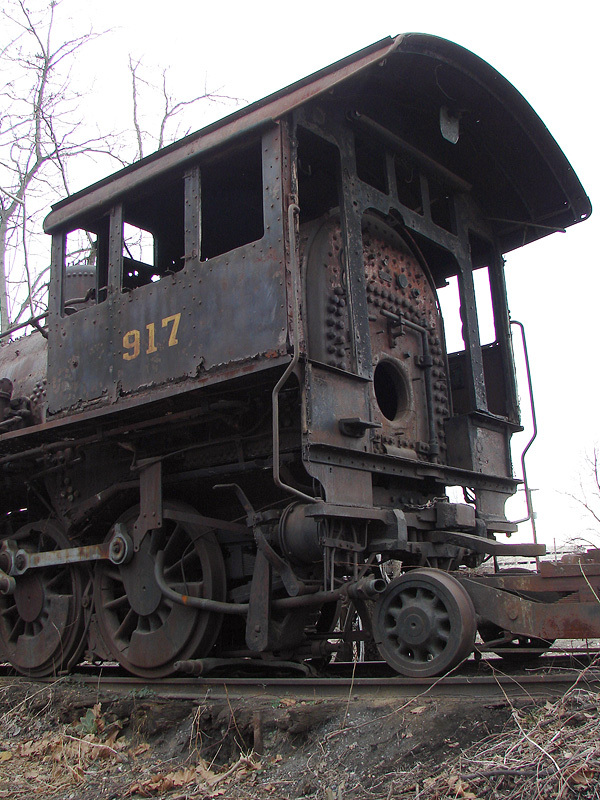 917 is the only surviving W2 class 2-8-0. 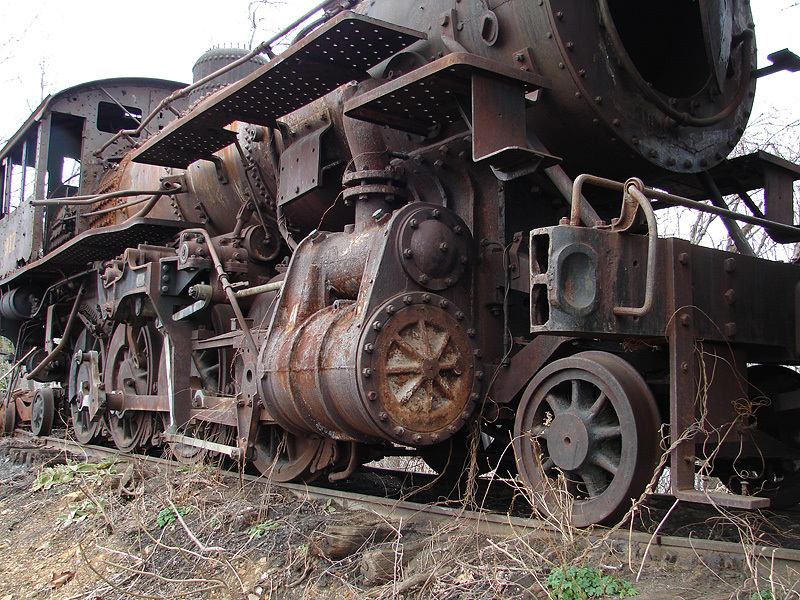 The connecting rod, crosshead, crosshead guides, and the whole valve gear assembly are missing from the fireman's side, but like the 1151, some of these parts can be found on the ground nearby. 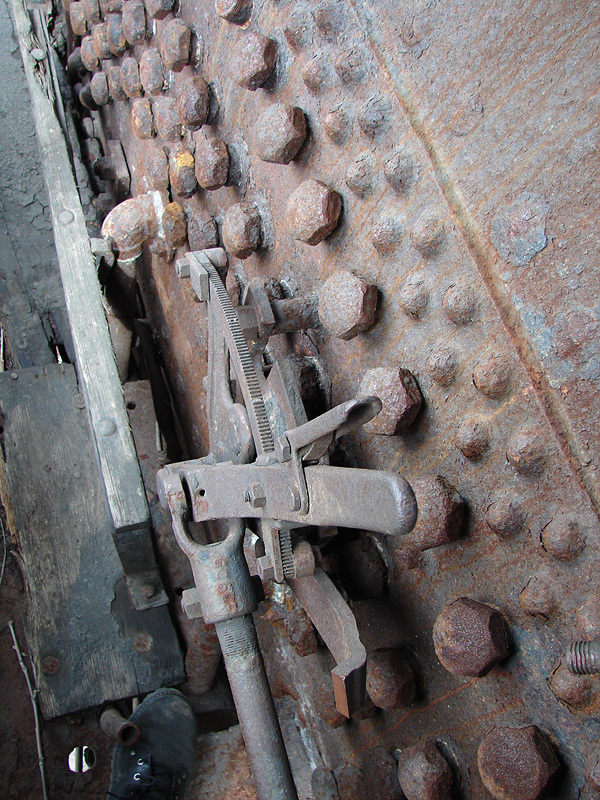 Although the W2's were built with inside Stephenson's valve gear, a look at the engineer's side reveals that no. 917 was rebuilt with Baker valve gear at some point. The smokestack is still in place, as are the two single-stage air compressors mounted separately on her fireman's side. 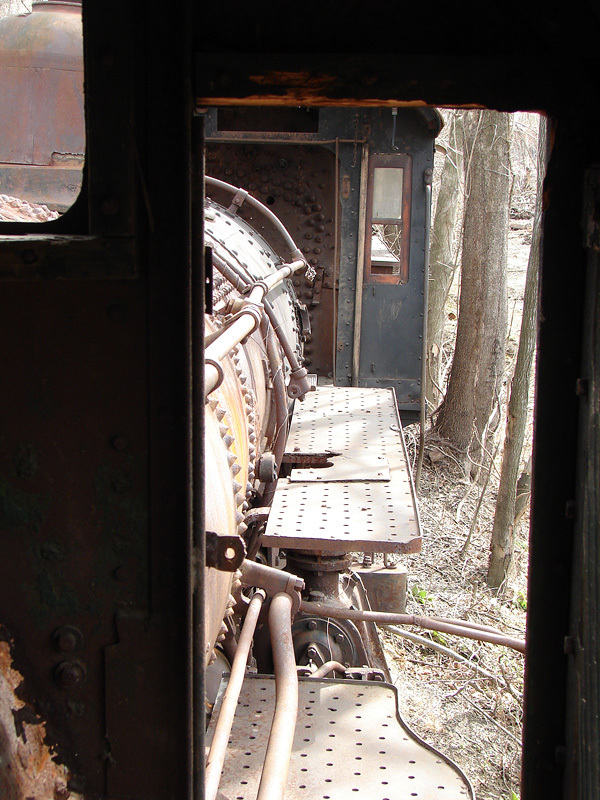 Her smokebox door has been slightly open for many years, and now seems to be frozen in that position. Although she appeared to still have glass in some of the smaller windows in the cab front when I was there in 1999, there was no evidence of any glass there during my 2008 visit. 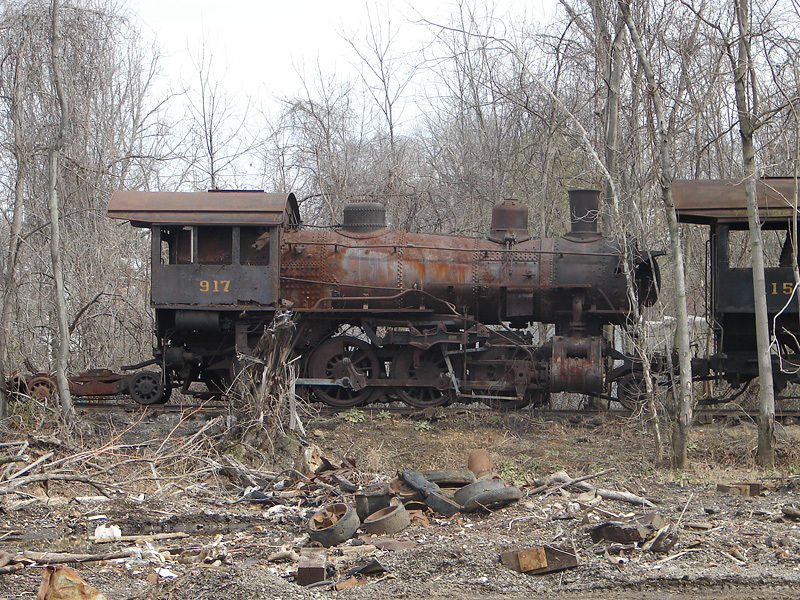 With the scrap pile removed, a clear view of the engines can now be had from the Jefferson St. side of the yard. 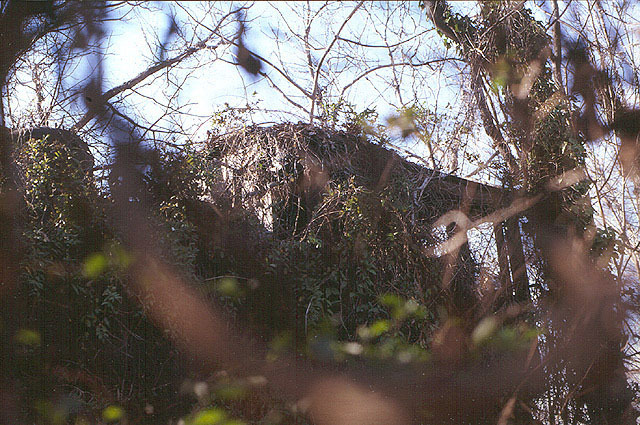 Here is the engineer's side of no. 917 with the pilot truck of a long-gone 4-8-0 behind her. Looking forward through the engineer's side cab door along the side of 917's boiler, with 1151 in front. The N&W's only 2-8-4? 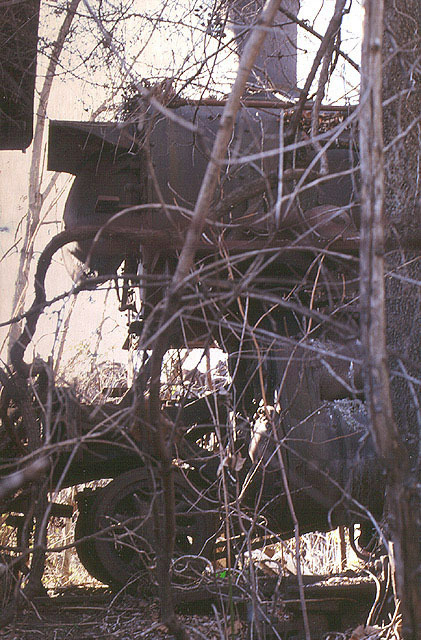 A closer look at the engineer's side cylinder and running gear, with the orphaned pilot truck behind her. 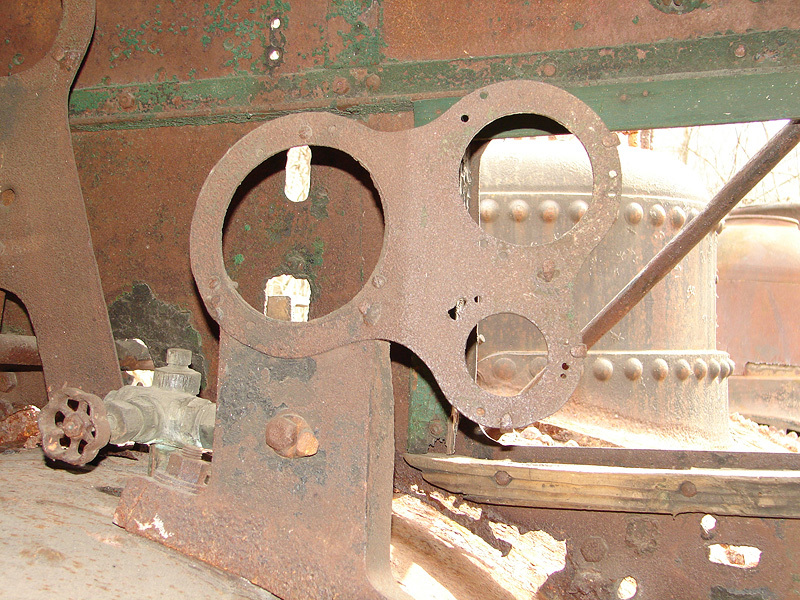 A panoramic view of 917's wheels and valve gear, clearly showing the missing connecting rod and eccentric rod. The fireman's side of 917's cab. 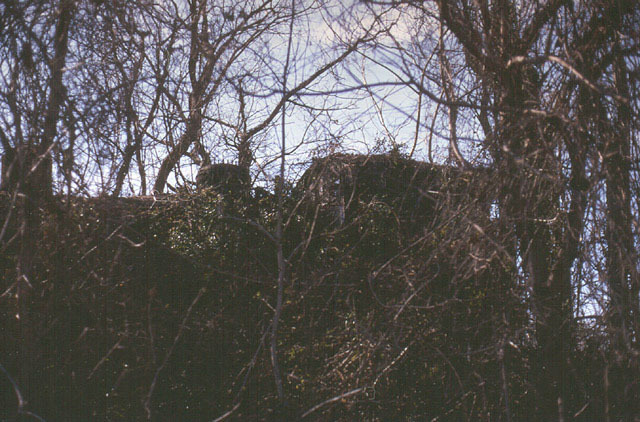 The W2's had a "deckless" cab, with the backhead reaching almost to the rear wall. 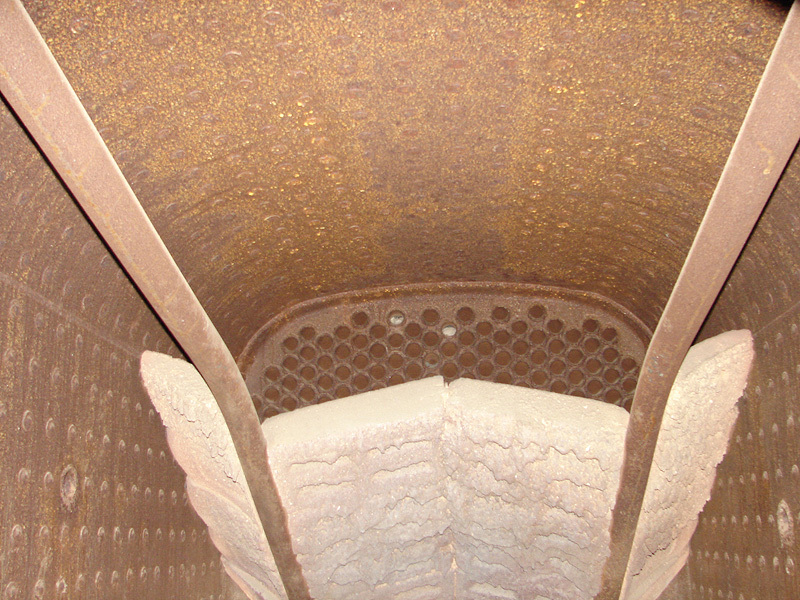 Close-up of 917's smokebox saddle. 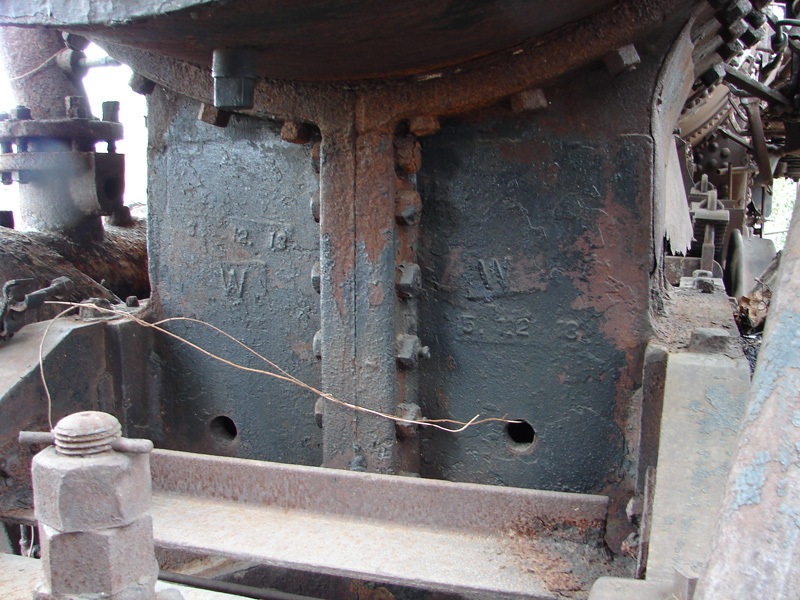 Like 1134 and 1151, she received new cylinders in 1918, though interestingly these are stamped class W rather than W2. The clearest view of 917 is the front of the engine, shot through the fence. Notice the open smokebox door. 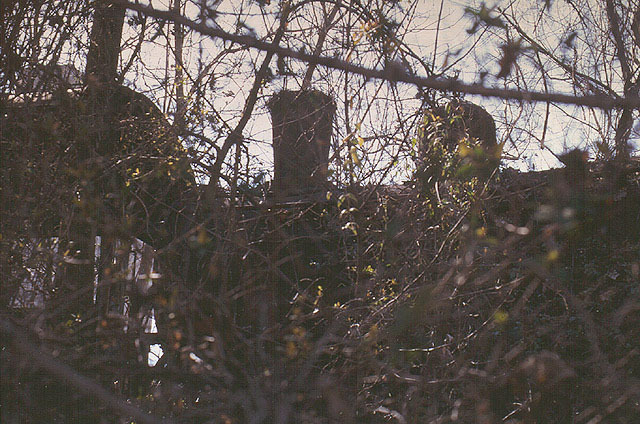 Profile of 917's stack and sand dome. Profile of 917's domes and cab. A view of 917's cab. There seems to be glass in some of the front windows.